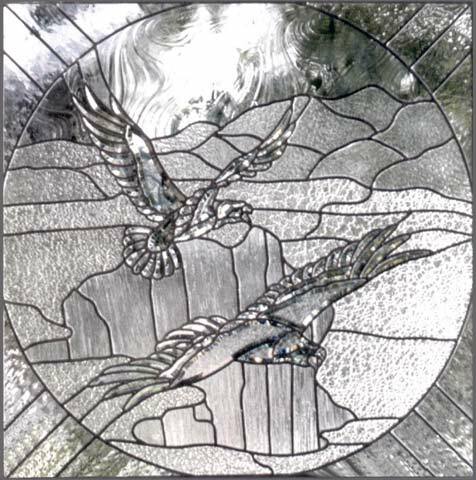 "BEVELED EAGLES" LEADED GLASS WINDOW CUSTOM AT GLASS BY DESIGN. 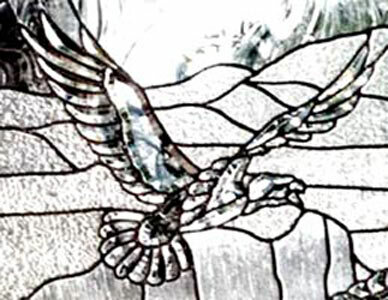 This leaded glass window with two beveled eagles was 44" x 44". These are all clear beveled and/or textured glasses with no color. The larger beveled eagle is 23" x 36". 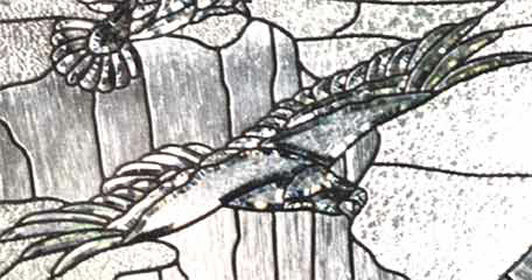 The smaller beveled eagle is 17" x 18". The dimensions of these beveled eagles prevent this design from being much smaller, unless you omitted one bird.